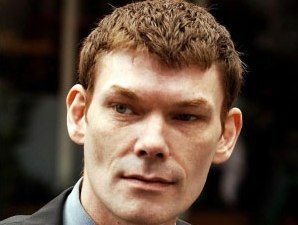 Attempts to prevent the extradition of UK hacker Gary McKinnon have suffered another set back, with a judge deeming there to be no bias in the extradition of British criminal subjects. The extradition had been criticised due to the apparent ease with which the US can extradite Brits, when the British government has trouble removing US citizens for trial. However, a review headed up by retired judge Scott Baker concluded that this was not the case. The review said: "The UK-US extradition arrangements were examined in great detail and the panel concluded that the widespread perception that they operate in an imbalanced manner is not justified." McKinnon has been fighting against extradition to the US for four years. The Scottish hacker is accused of accessing US military and NASA computers in what one US prosecutor has dubbed the "biggest military computer hack of all time." McKinnon, who suffers from Asperger's syndrome, claimed he was looking for withheld information on UFOs. McKinnon's legal team is protesting that he cannot be extradited due to his illness, and that he should stand trial in the UK. The final decision regarding his extradition now rests with Britain's Home Secretary Theresa May, who is awaiting medical reports on McKinnon.